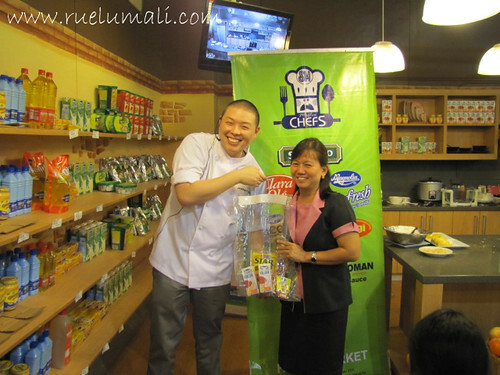 We were fortunate enough to witness SM Hypermart Master Chef Tour 2011 at SM Sucat last August 16 with Chef Jonathan Chua as the guest chef. 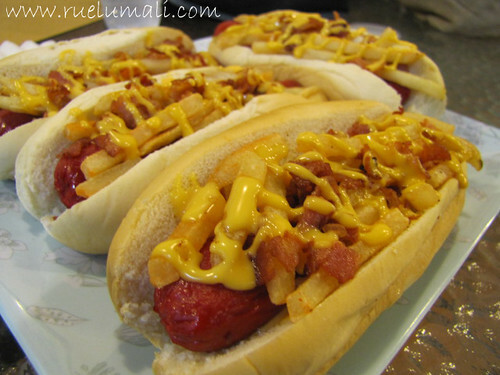 My entry picture is a twist of hotdog sandwich which the Chef called Cheesy Hotdog and Fries Sandwich Overload drizzled with Magnolia Cheese Spread at top – different way to serve merienda with the kids. 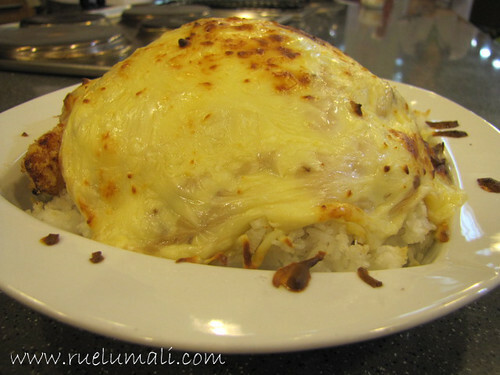 Another dish is the Chicken and Mushroom Baked Rice top with fried chicken fingers on top of the rice with condensed cream of mushroom baked with grated cheese. For the dessert, Chef Jonathan prepared Peaches and Cream Caramel Triple. 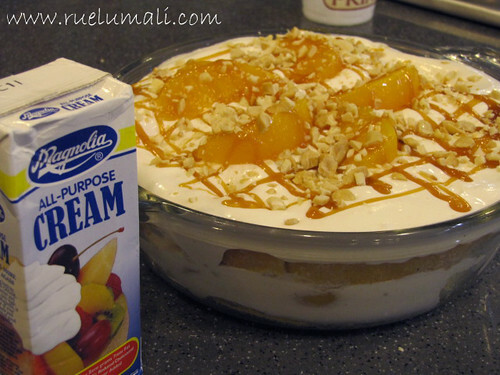 The cake is a layer of chiffon with a spread of caramel topped with whipped cream, nuts and slices of peaches. 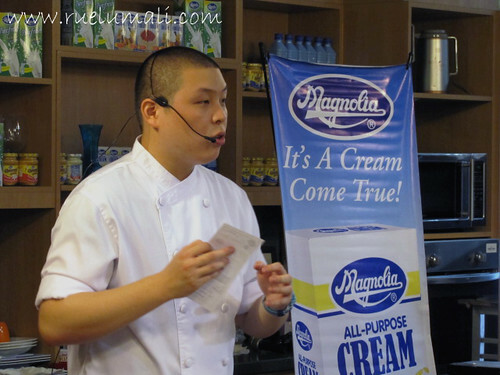 After the cooking demo, Magnolia products were raffled out with the audience to get them a chance to try the dishes at home. 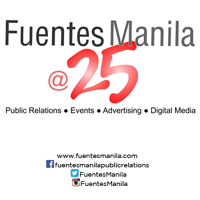 For more information, visit SM Hypermarket Facebook Page.